The problem of misfuelling has been with us for years. The popularity of diesel cars and the fact that more homes these days seem to have both petrol and a diesel vehicles on the drive means that the potential for misfuelling – putting petrol in a diesel car or vice versa – is on the increase. If you’ve done this don’t panic call Cross Motor Engineering and one of our experienced team will come and collect you and your vehicle and have you back on the road as soon as possible. It’s estimated that around 150,000 drivers put the wrong fuel in their car every year. This can be because the driver is new to the vehicle or they’ve simply been distracted when they were filling up. If, after filling your tank, you realise that you’ve filled it with the wrong fuel then our advice would be avoid turning on the ignition or starting the engine, this will stop the wrong fuel from circulating around the vehicles fuel system then give us a call and we will do the rest. In the event of Misfuel, then it’s important that all the contaminated fuels is removed from the tank and replaced with clean fuel before the engine is started. Putting diesel into petrol is a less common occurrence simply because the standard diesel nozzle at fuel stations tends to be bigger than the filler neck on the majority of modern vehicles. However, it can still happen with older vehicles where this is not the case. The advice is the same. Avoid starting the engine and risking contamination then give Cross Motor Engineering a call and we will collect your vehicle and carryout the necessary procedure to return it to running order. At Cross Motor Engineers we supply and fit the Diesel Head Misfuel Prevention device to prevent you putting petrol in your diesel car. To avoid further repair cost and the inconvenience of having your car off the road as one of the team for further details. Putting the wrong fuel in your car is more common than you might think. An estimated 150,000 motorists put the wrong fuel in their car every year and the problems this can cause can lead to significant repair bills. 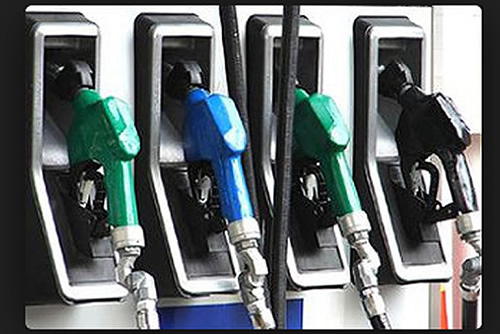 The problem of misfuelling is particularly associated with the growth in diesel car sales. With many families having more than one car and with people inter-changing who drives the vehicle, it’s easy for wrong fuel to be used if one of the vehicles is petrol and the second is diesel. People simply forget which car they’re driving and this is when mistakes happen, It also happens quite a lot with hire cars when people are unfamiliar with the vehicle and simply forget when filling up. At Cross Motor Engineering we supply the Diesel Head to prevent you putting petrol in your diesel car. This means you can say goodbye to the cost of repairs and the consequences of disruption to your plans. Once it is fitted to your vehicle you will never misfuel again. We can supply and fit a misfuel prevention device at a great price so for peace of mind, contact us now to get one fitted. The strength of this anti-misfuel device is its simplicity - one size fits almost all! There are no packs of adaptors, spacers or collars to hang a misfuelling prevention device from your tank or the diesel pump itself. It is simply a machined precision device, made of the finest materials and designed to clamp firmly to the filler point/inlet of your diesel tank. At Cross Motor Engineering we are frequently contacted by distressed motorists stating that ‘I have put the wrong fuel in my car and driven off not realising’ or ‘I have just filled up with the wrong fuel, what do I do?”. We provide a comprehensive wrong fuel assistance service to resolve these misfuelling issues for you and with the misfuelling device that we can provide, this problem can be consigned to the past. Misfuelling mostly involves putting petrol in diesel vehicles as the petrol nozzle is smaller and can fit into the filler neck of diesel vehicles. However, you still get a fairly high number of drivers who put diesel into petrol engines even though the nozzle is really too big for the filler neck of petrol cars. You frequently change the car you’re driving. Maybe you use a second family car at home and a different one for work. You’ve just bought a new car and it runs on a different fuel to your old one. You are late for an appointment or meeting and don’t pay attention to the fuel you are using. These are by far the most common reasons we get called out for wrong fuel assistance recovery jobs and the fact is, much of this could be avoided by having a misfuel prevention device fitted. To find out more about misfuel prevention and how you can get a misfuel prevention device fitted, please contact us now.